Gorgeous night capture and pov! Really Nice Work on this one. Love that it is clear close and far, and love the lights. Great work - beautiful night image and creative composition! 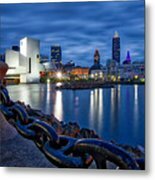 Stunning image of Cleveland at night! Very strong image! Love it. City of Cleveland has some wonderful views at night. This is one of my favorites. Taken from Voinovich Bicentennial Park on the shores of Lake Erie. The Rock Hall of Fame on the left is such a picturesque building that serves as the permanent home of the Rock and Roll Hall of Fame. On the right you can see the steamship the William G. Mather. 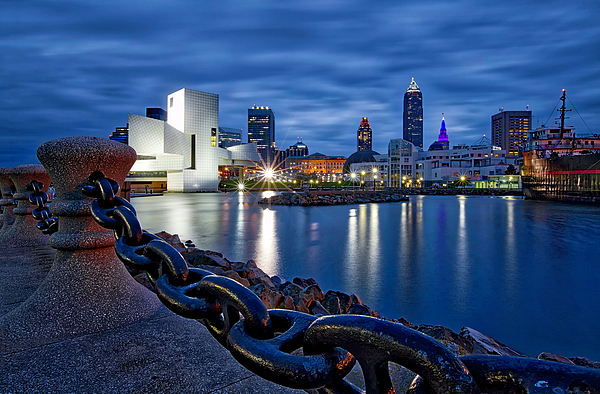 Just like the song Cleveland Rocks by Ian Hunter this place sparkles at night.